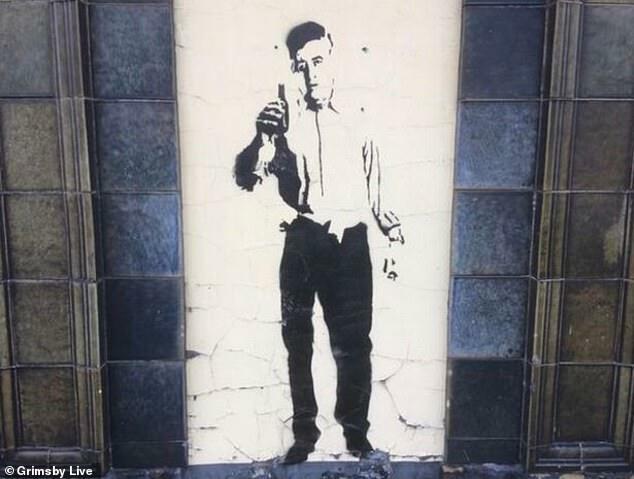 Speculation is mounting over whether a mysterious piece of artwork that apparently appeared on the front of a pub overnight could have been made by Banksy. The outline of a figure with a bottle of beer in his hand has been drawn in the doorway of the Albion pub on Cleethorpe Road, in Grimbsy. Susan Chesman spotted the graffiti at around 4.30am today and said she had to take a double look to check what she’d seen. Ms Chesman said: ‘I had to turn my car around and go have another look. I thought this could be a Banksy – or maybe a local artist. 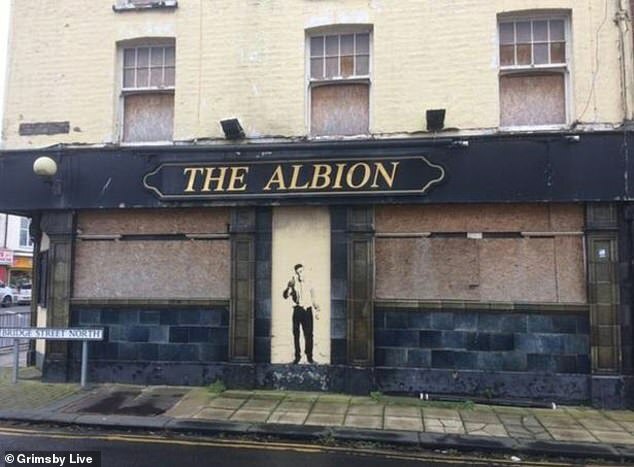 The Albion closed its doors eight years ago. 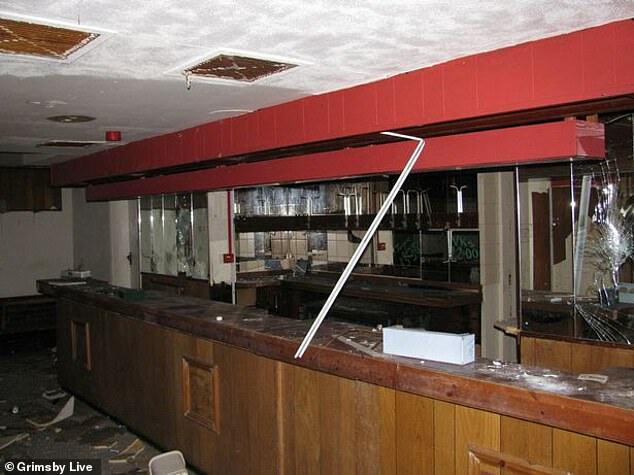 It is now needle-infested and perilously dangerous after persistent break-ins, earning it the title ‘pub from hell’. Owner Surrinder Mehat of Metro C21 Stores feels he has no choice but to knock down the Edwardian pub and start again, replacing it with a three-storey block of flats. The figure’s mystery appearance has sparked fierce debate on social media about who might be the artist responsible. But Phil Simpson remains to be convinced said: ‘It’s not a bad stencil, however Banksy can’t be responsible for it. ‘The quality isn’t good enough and they’d be using more colours on a Banksy stencil. It would not be the first time Bansky is rumoured to have been in the Humber region.